The global market for sternal closure systems has witnessed rapid traction in the past few years owing to the vast rise in target population and a steady rise in the number of surgeries undertaken for treating complex cardiovascular conditions. The increasingly improving state of medical reimbursement policies in emerging economies across regions such as Asia Pacific has also provided a fillip to the global sternal closure systems market. In response to the increasing demand for these systems, several new players have forayed into the market in the past few years, leading to an increase in competition and compelling companies to focus on development of new product varieties with improved features. The vast improvements thus seen in sternotomy techniques are also leading to increased confidence among healthcare practitioners as well as patients regarding the use of sternal closure procedures. However, health complications arising from improper sternal fixation procedures is a key challenge that hinders the growth prospects of the market. Moreover, the high costs of these products as well as the lack of skilled personnel for carrying out the procedure are also limiting the growth prospects of the market to a certain degree. Geographically, the market presently acquires a large share of its revenue from developed economies in regions such as North America and Europe. However, the market in Asia Pacific is steadily expanding and is expected to emerge as one of the leading regional markets in terms of growth promise. A number of factors are allowing the regional market to gain traction, including the rising numbers of invasive surgeries for the treatment of several health conditions affecting the thoracic area. The regional market is also expected to benefit from the rising population of target patients, a mounting population of geriatrics, and increased expenditure on healthcare. Sternal closure is necessitated by a heart surgery or surgeries of the thoracic cavities. It is used to close the sternum. A perfect sternal closure is predicted to bring about stability, lessen post-operative complications, and also reduce hospitalization stay. Overall, it is meant to be cost-effective. The market for sternal closure systems has been rising steadily because of the surging patient population, alongside the increasing necessity of various surgical procedures. Rigid sternal fixation is associated with stability and reduced incidence of post-operative complications. Wiring, interlocking, plate-screw, and cementation techniques have been studied for closure, but neither of them have seen extensive usage. One of the factors serving to stoke the market for sternal closure systems apart from the rising number of surgeries is the continued technological progress in sternotomy techniques. Rising availability of medical reimbursements across prominent markets is also acting as a catalyst. However, despite all the plus points, procedural risks pertaining to sternal closure is a major drawback posing a challenge to the market. Post-operative complications related to shoddy sternal fixation can cause morbidity and mortality. However, despite it, sternotomy is preferred over other methods such as lateral thoracotomy. Another factor hindering the market is the high taxes, excise duties, and stringent legislations related to medical devices all over the world. 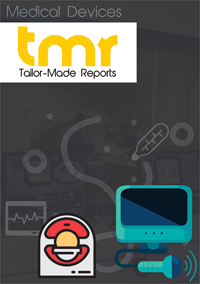 Besides, absence of skilled surgeons and technicians to carry out the procedure and limited knowledge among healthcare providers about novel sternal closure techniques is also hampering market growth. The two main types of sternum closure systems available in the market are bone cement and closure devices. Of them, the closure devices segment gross significant revenue because of the rising number of complicated cardiovascular surgeries and surging availability of medical reimbursements, particularly in developed nations. Procedure-wise, the market is classified into hemisternotomy, median sternotomy, and bilateral thoracosternotomy. Of them, the segment of median sternotomy is seeing considerable uptake. Various types of metals are used to build sternal closure systems. PEEK, titanium, and stainless steel are to name a few widely used ones. Titanium, among them, is most preferred due to associated advantages and economies-of-scale, and growing number of clinical research to evaluate the clinical efficacy of these products during sternal closure. From a geographical standpoint, key segments of the global market for sternal closure systems are Europe, North America, Asia Pacific, and the Rest of the World. Asia Pacific, among them, is expected to clock an impressive growth because of the bettering healthcare facilities in the region and also because of the increasing spends on healthcare. Adoption of highly evolved versions of sternum closure techniques by cardiothoracic surgeons, a large patient pool mainly on account of a burgeoning elderly population, and rising cases of obesity is also serving to stoke its market. Besides, localized device manufacturing is boding well for the market as well. North America is another prominent region in the global sternal closure system market because of the rising occurrence of cardiac diseases in the region, the high per capita spends on healthcare, state-of-the-art hospitals, and skilled surgeons. Zimmer Biomet Holdings, DePuy Synthes, A&E Medical, KLS Martin Group, Orthofix International N.V., Acute Innovations, ABYRX, Praesidia Srl, Kinamed Incorporated, and IDEAR S.R.L. are to name a few of the prominent players in the global market for sternal closure system.